For the buyer with an artistic eye, fused glass décor objects offer a unique insight into the work of fine craftsmen. 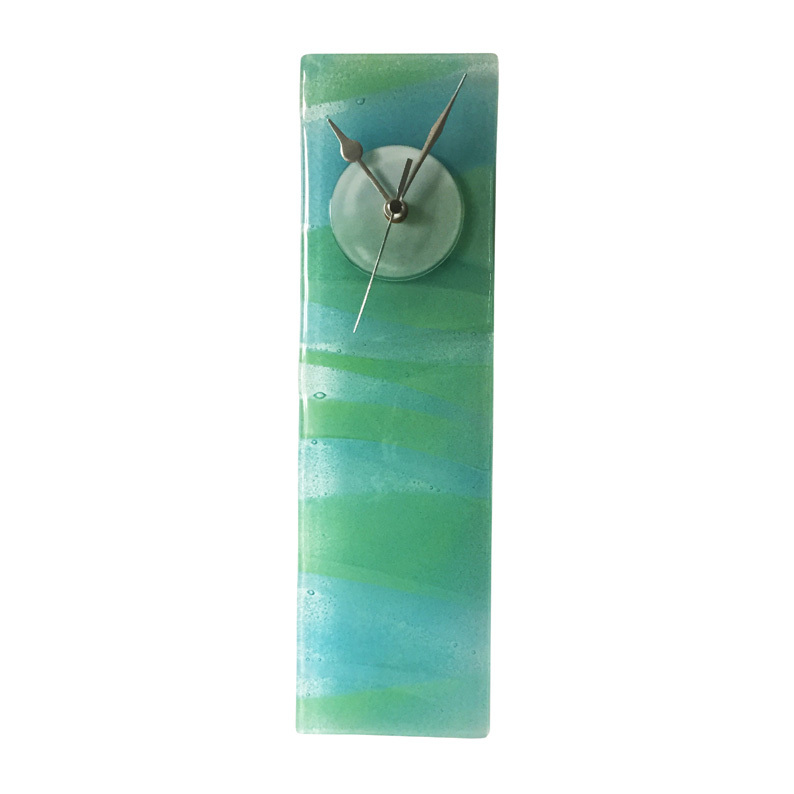 This beautiful clock is hand crafted from glass, colour pigments are added to create the design and the piece is then fired in a kiln to become one of a kind. Soft sea green and blue tones blend perfectly with a round numberless clock face, creating a unique and special décor piece that is also functional. Size H35cm x W10cm.